There are 39 freebies today. Let us know in the comments if you learn of any more freebies, deals, or discounts. Don’t forget to follow us on Twitter @BargainBabe to snag more freebies. 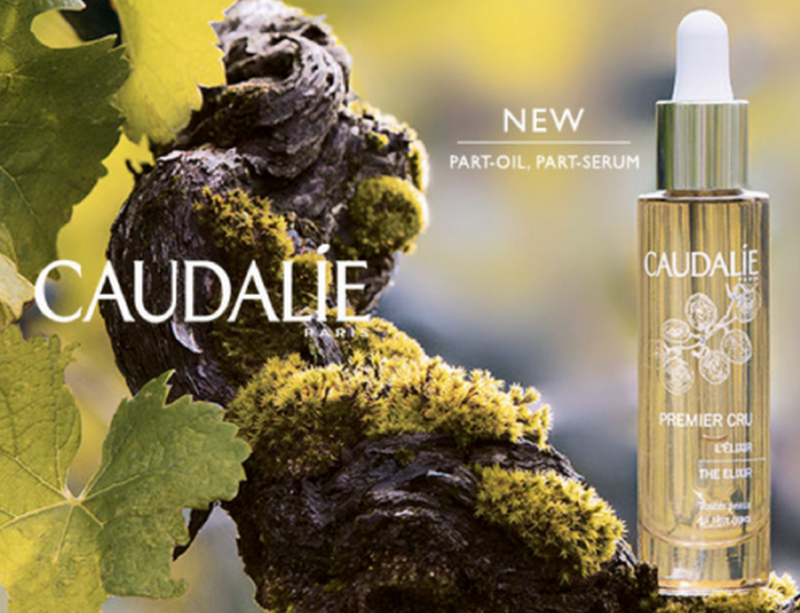 Free Anti-Aging Oil Sample – Request a FREE sample of Caudalie Premier Cru The Elixir, a part-oil part-serum anti-aging oil. Note: You will need to sign up for the Caudalie newsletter but you can opt out at any time. Free Ebooks – Download these FREE ebooks from Amazon today! Appetizer Recipes e-Cookbook currently FREE (reg. $9.99!). Fast Freezer Meals currently FREE (reg. $2.99!). head here for more FREE ebooks. Free Mini-Bons at Cinnibon – To celebrate the premier of the Breaking Bad prequel Better Call Saul, Cinnibon will be giving away FREE Mini-Bons today, Feb. 9, from 5-9 PM. Yum! Click here to find a location near you. Free Seeds of Change Product – Take a quick survey here to get a FREE Seeds of Change organic product. Allow 6-8 weeks for delivery. Free Pop-Tarts at XtraMart – Print a coupon to get a FREE Pop-Tarts 2-pack at XtraMart. Coupon is valid through Feb. 11. Note: Coupon is on Facebook. Free Origins Winter Sample Kit – Grab a FREE winter sample kit today. This includes 3 dram samples customized for you + Mini Facial! No purchase necessary! Expires Sunday, Feb. 15. Note: Freebie is on Facebook. 15% Off at Outback w/Coupon – Through Feb.12, participating Outback Steakhouse restaurants are offering 15% off your entire check with this coupon (excludes alcohol). Even better, this coupon can be used for lunch, dinner, or even on curbside take-away orders. Free Coffee at XtraMart – XtraMart Convinence stores are giving away FREE coffee today, Feb. 9, with this printable coupon. Note: Coupon is on Facebook . Free Candy – Print a coupon to get a FREE bag of Monkey Loco Candies at Stripes stores. Note: Coupon is on Facebook . Free National Park Admission – Mark your calendars! Feb. 14-16 more than 100 national parks that usually charge entrance fees will offer up FREE admission! Free Play-Doh 4 Pack w/Purchase – Coupons.com just released a new coupon valid for a FREE Play-Doh 4 pack (up to $3.99 value) when you buy any one Play-Doh Playset $12 or more – expires March 27. Print now as this coupon may not last long! Free 8×10 Photo Prints – To get FREE 8×10 Photo Prints from Canon login or register, select a printer and upload a photo. You can choose one photo per printer. They’ll send you an 8×10 print of the photo that you upload. Free Biofreeze Sample – Fill out a short form to grab a FREE sample of Biofreeze pain relieving gel. Expect sample to arrive in 6-8 weeks. Free Emergen-C Sample – Just “like” the Emergen-C Facebook page and fill out a short form to score aFREE sample of Emergen-C.
Free Multipurpose Wipes – Sign up to grab a FREE sample of Sandy Multipurpose Wipes. These wipes kill 99.9% of germs and bacteria with a streak- and residue-free shine. Free Hair Care Sample – Sign up for FREE Pureology Colour Stylist Collection sample. Free Good Doer Bracelet – Sign up to get a FREE Good Doer bracelet today. To get this freebie you must “like” Goodnet on Facebook, share on Facebook, follow and Twitter, and +1 on Google Plus. Aveda Free Sample Giveaway – Enter to win one of 5,000 FREE samples of Aveda Smooth Infusion ™ Naturally Straight Styling Creme & Dry Remedy™ Oil. Note: Offer is on Facebook. Free Rachael Ray Magazine Subscription – Request yourFREE Subscription to EveryDay with RachaelRay magazine today! Just complete the short request form and your first FREE issue should arrive in 6 to 8 weeks. Free Notebook – Register here for the Escada newsletter to receive a FREE ‘ESCADA meets Thilo Westermann’ notebook. At some point they will send an email with a link to enter your mailing address for this freebie. Free Wildflower Guide – Get a FREE print copy of the 2015 Wildflower Reference Guide and Seed Catalog. Allow up to 2-3 weeks for delivery. Frozen Themed Spelling Worksheets – Go over to Educents where you can score these downloadable Frozen Themed Basic Spelling Worksheets for FREE! Free Zarbee’s Immune Support Sample – Sign up for a FREE sample of Zarbee’s Naturals Elderberry Immune Support. Note: Offer is on Facebook. 50 Free Dr. Seuss Printables – Check out this list of 50 different FREE Dr. Seuss printables. Free Bumper Sticker – PeaceTeam.net is offer a FREE bumper sticker. Choose from ‘Impeach the Supreme Court’ or ‘Corporations are not People’. Free Kaskade MP3 Album – Google Play is offering up the Kaskade I Remember MP3 Album completely FREE! Free Advil PM Sample – Sign up to receive a FREE 2 count sample of Advil PM. Free Gevalia Coffee Sample – Hurry to grab a FREE sample of Gevalia coffee. Free Egg Roll at Panda Express – Send your favorite people a virtual red envelope with coupon for a FREE Egg Roll at Panda Express. No purchase necessary. Free Martha Stewart Living Magazine Subscription – Hurry over to score a FREE subscription to Martha Stewart Living magazine courtesy of Rewards Gold. Free Meta Health Bar – Snag a FREE Metamucil Cinnamon Oatmeal Raisin Meta Health Bar! Allow 4-6 weeks for delivery. Olive Garden $6 Off Dinner for Two Coupon – Through Feb. 12, you can head on over hereand fill outyour info to print a coupon valid for $6 off Dinner for Two! Note that the coupon can be redeemed Monday-Thursday only and is valid for $3 off each single dinner entree. Limit two single dinner entrees per coupon. Caza Trail Kona Blend K-Cups Only 33¢ Each Shipped!